I love that sentiment that every day is an adventure. Something about it just strikes me, but like most people it can be hard to live up to it when we get caught in routine and the stuff we have to do every day. But every day is an adventure with possibility and challenges and a chance to do something you’ve never done before. 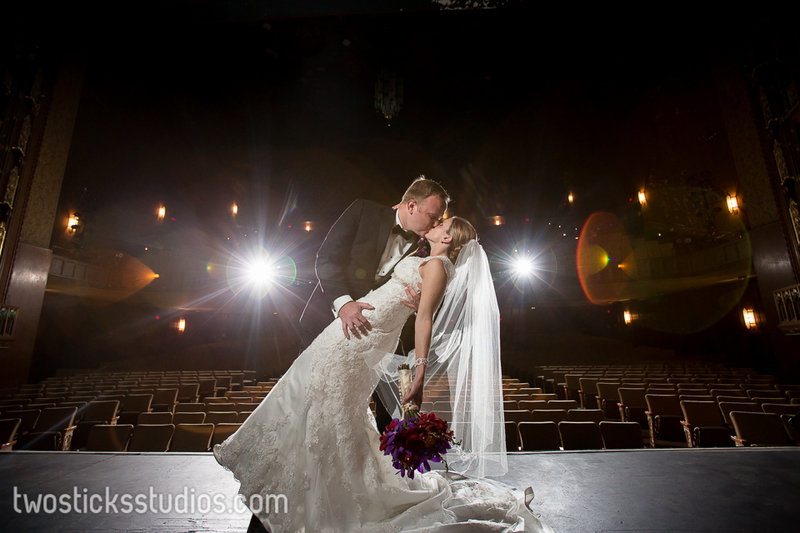 The whole idea marries well with photography, especially wedding photography. Bob and I often work pretty hard with brides and grooms on their timelines for the day because we’ve been to lots of weddings and can help. It also let’s us know what kind of time we will have to do photos. Are we gonna have a lot of time for an elaborate setup or do we need to work more quickly to get our shots? Usually the answer is work quickly. Hey, there is a lot the bride and groom wanna do on their wedding day and they should do it all and love every second of it. So it’s our job to work fast and get great shots. No time is not an excuse on a wedding day! But it can be an adventure. 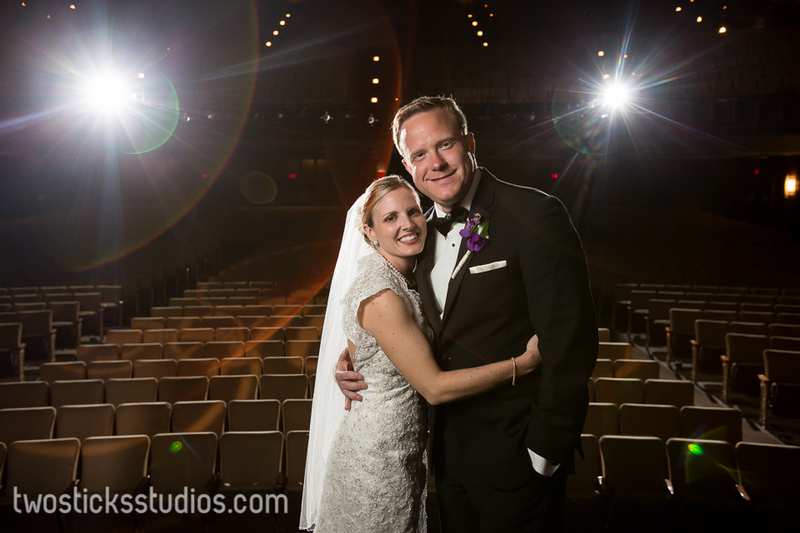 So this past weekend, we joined our friends Amanda and Brian at the Cultural Center for their reception. We had just gotten back from Mellow Park and some photos with the whole bridal party there and the cocktail hour was getting going. Amanda wanted to make sure we could still do some portraits at the Cultural Center. Who could blame her? It’s an amazing place to get photos done. We love it there! So while they had a quick drink, we started getting a plan together. We decided on the stage. Here’s where it gets fun. We wanted it to have that stage look with spotlights and all the cool things that go along with being on stage and having your moment. This was gonna require more lights. So we started dropping flashes around the building like hand grenades to get the right effect. 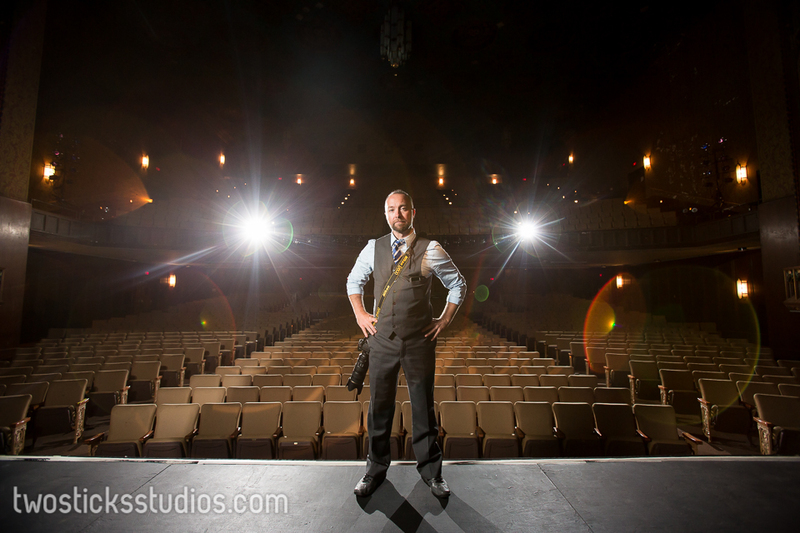 We then threw our friend Steve Serge, who was tagging along to help out, on the stage to serve as a quick model to test the light. Perfect! The total time from idea to “go back to cocktail and enjoy your friends” is 14 minutes. The total shoot time for Amanda and Brian was 8 minutes. The first six were used to get the lights positioned properly and make sure everything was ready. We’re pretty happy with how the photos turned out. It was an adventure. We really hope you like the photos!